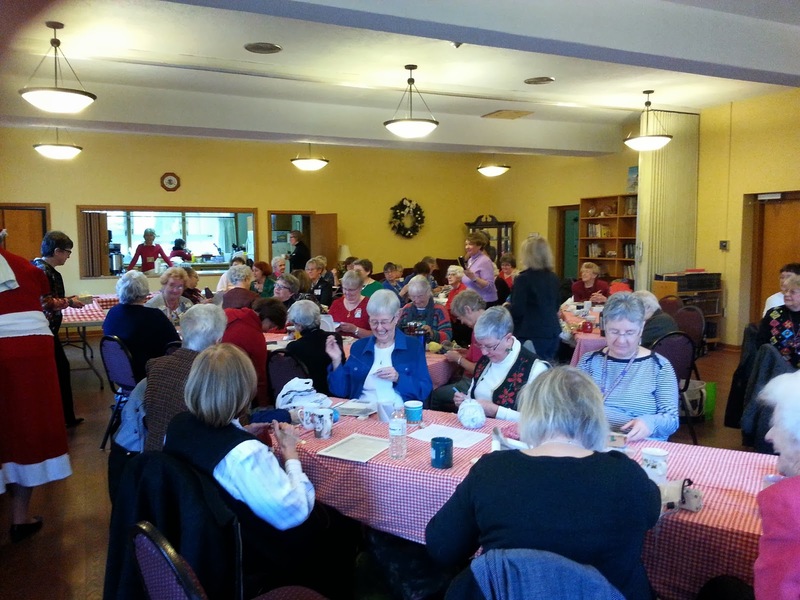 Embroiderers' Association of Canada, Inc.: It’s Holiday Fun Time! 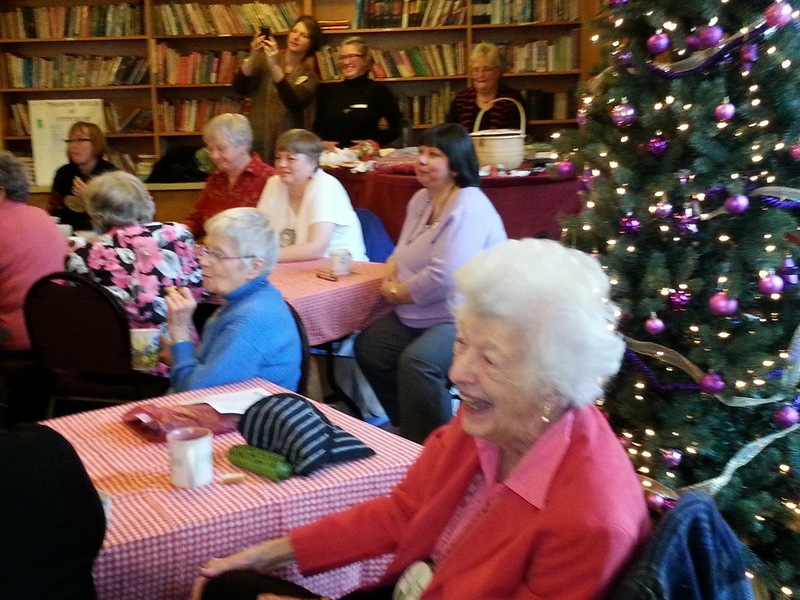 This week the Toronto Guild of Stitchery members celebrated our Christmas Parties. The Toronto Guild is very fortunate to have both a day group and evening group and some lucky members are able to attend both holiday celebrations. I am one of those lucky people. Our Day Group party began with hugs and cheery hellos as members arrived dressed in fun festival clothes. 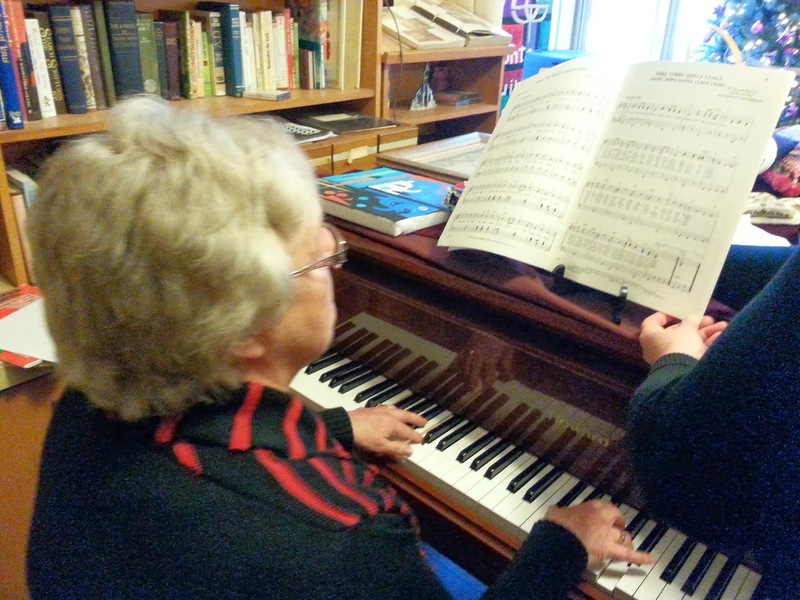 Our musically talented member Karen Doak on piano filled the air with Christmas music. Wonderfully wrapped stitched gifts were assembled waiting to be given out. 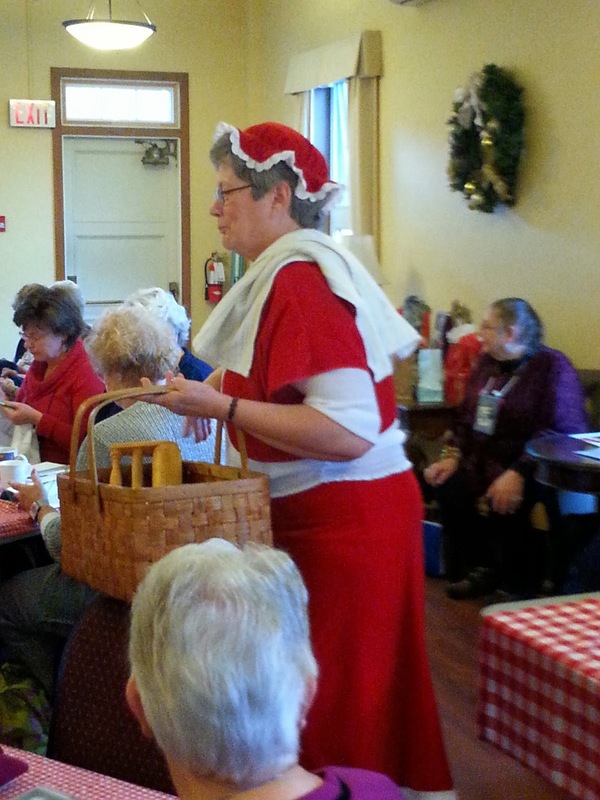 Mrs. Claus (Cathy Cormier) arrived in full costume with shortbread cookies for everyone. There was a sudden excitement as a Ho, Ho, Ho, brought cheers from everyone with the arrival of Santa Claus himself. 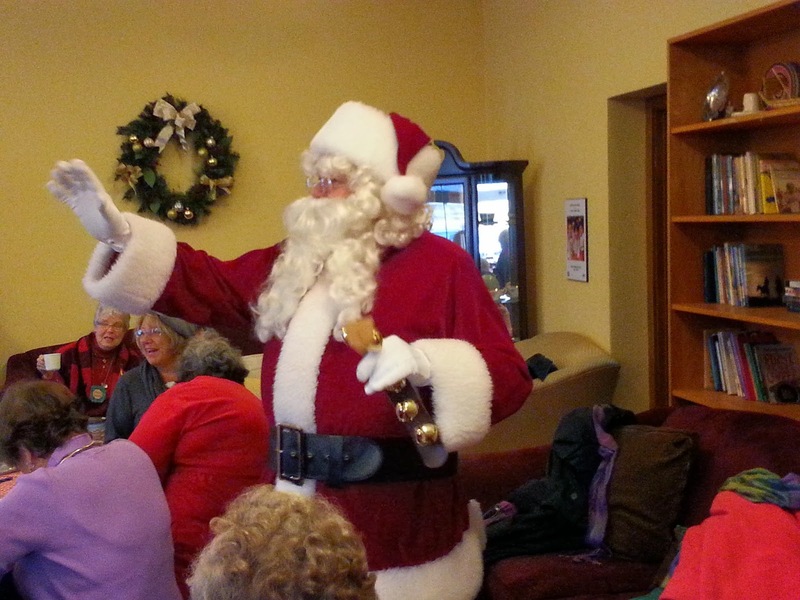 Santa greeted everyone merrily and with the help of Mrs. Claus, pulled names out of a snowman bag, presented lovely gifts to the participants. We had a feast of delicious soup, sandwiches, fruit/veggies and tempting desserts. Our Evening Group began with a potluck of delights from our kitchens. The smell of warm apple cider was sure to get everyone in the mood for fun. 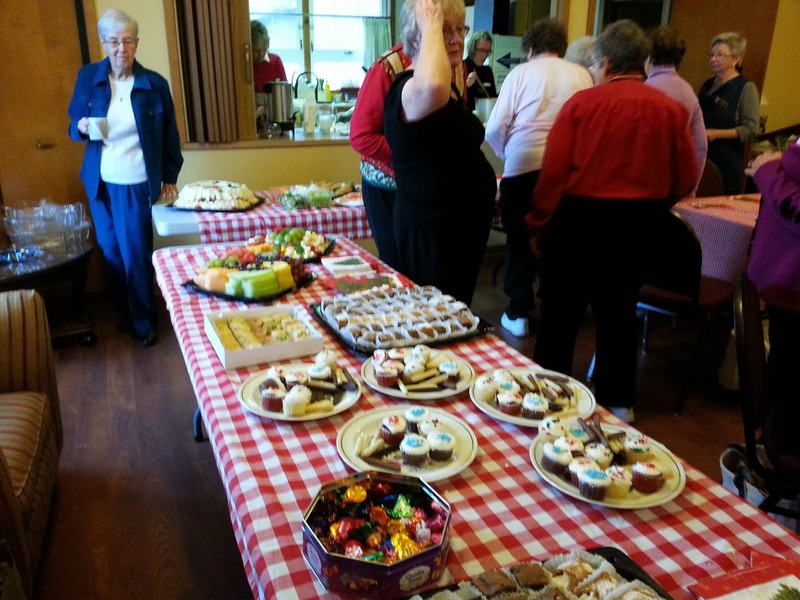 We had salads, chili, meatballs and salmon with more tempting desserts. Everyone was given a note with a line from a Christmas Carol. 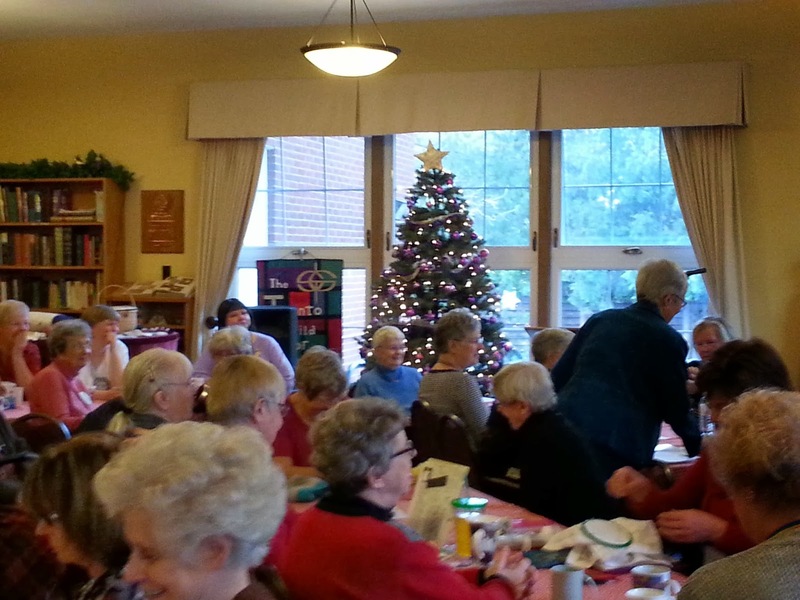 The Christmas Carols were read by Nicole McReavy and people jumped to their feet and dashed over to the table to select their gift. 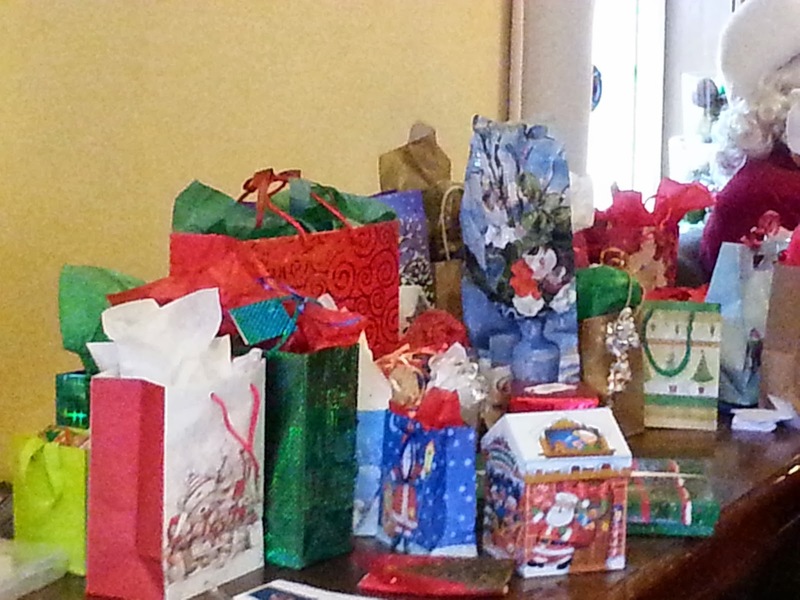 Everyone unwrapped their gift and one by one each gift was displayed and the secret Santa was revealed. As a group we are so fortunate to have good friends to share our passion for expressing ourselves in stitches and who embrace the traditions of the season. Wishing everyone all the Best of the Season! Thanks for sharing. It looks like everyone had so much fun. Owl Pincushions & a Merry Christmas to all! Christmas is my favorite time of year!